The Greater Zandvlei Estuary Nature Reserve. 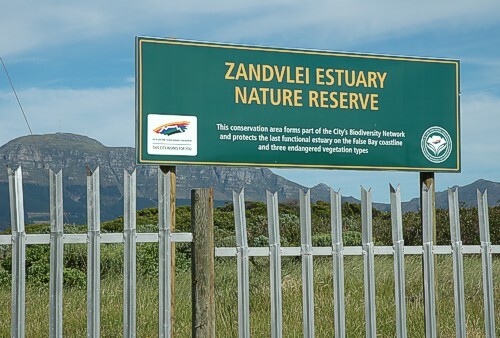 A working partnership with the City of Cape Town and The Zandvlei Trust. Manager. Environ. Education Manager. Foreman. Muizenberg East Satelite Conservation Area. 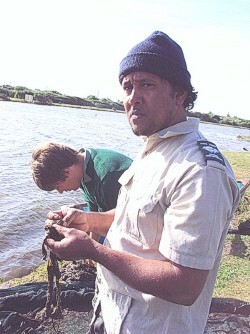 Contact Joshua Gericke The Manager - Greater Zandvlei Estuary Nature Reserve. 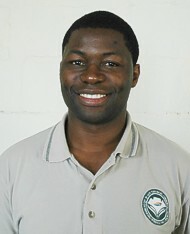 Contact Mark Arendse The Manager - Environmental Education Centre. 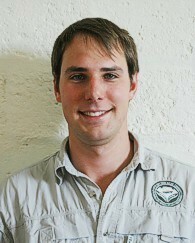 Contact James Mugabe The Manager - Muizenberg East Conservation Area. How to get to the Nature Reserve and the Environmental Education Centre. Please make a note of times. The entrance gates are open. Day of the week. Time. Week-ends and public holidays. 08H00 - 18H00. 1. In and around the Reserve. The new viewing platform at the Sand River confluence, in progress on 03/02/2014. Click to see whats happening in and around the Reserve. updated 15/04/2015. 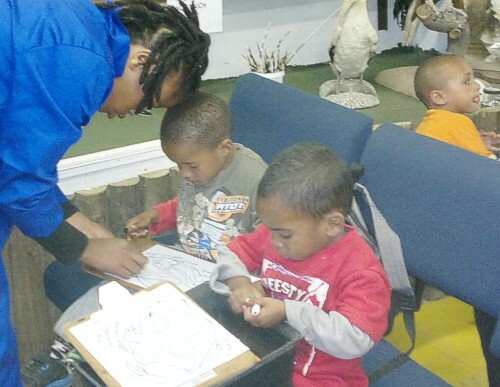 Children from Village Heights Community Centre visiting the EEC in April 2014. Click to see more at the EE Centre. 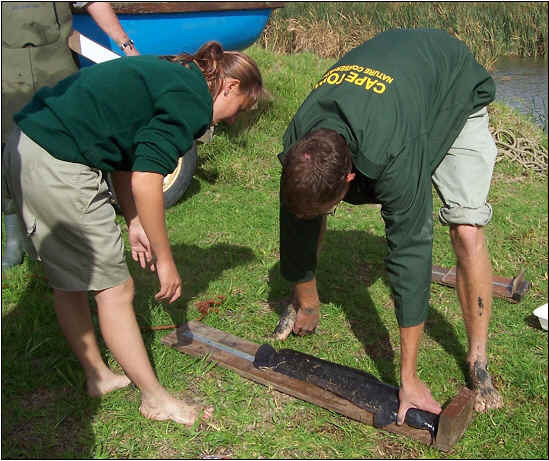 Download this information booklet, for a Mini SASS course or community monitoring water quality. 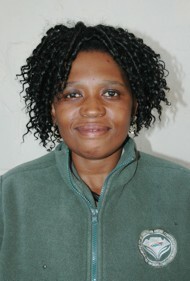 It is part of the River Health for Southern Africa. 3 . Water Weed Harvester (The Kingfisher). The Kingfisher in operation during December 2011.
photograph by Margit van Heerden. photograph by Margit van Heerden. 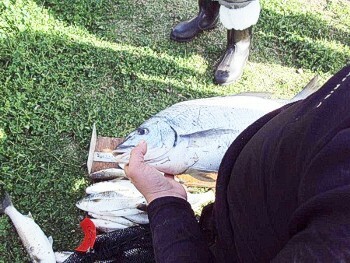 Checking the net contents for fish. 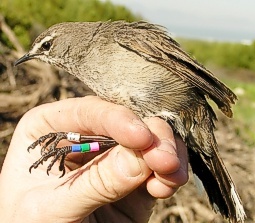 Recording the species and counts. Checking the length of the fish on the measure board. 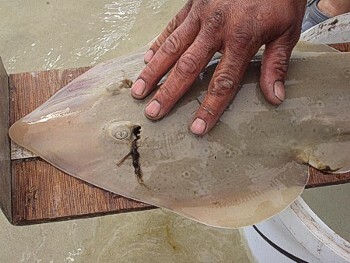 A Sand Shark being measured. Fay Howa 2007 and 2008. 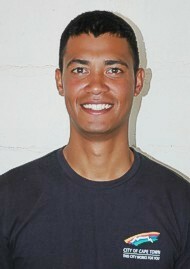 Andrew Taylor 2008. 1. Fay's Karoo Robin project. 1. Andrew's Kedstes Butterfly project. 3. Cassy's African Catfish project. 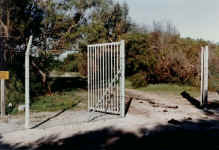 Click to see pictures of the Nature Reserve about 30 years ago. 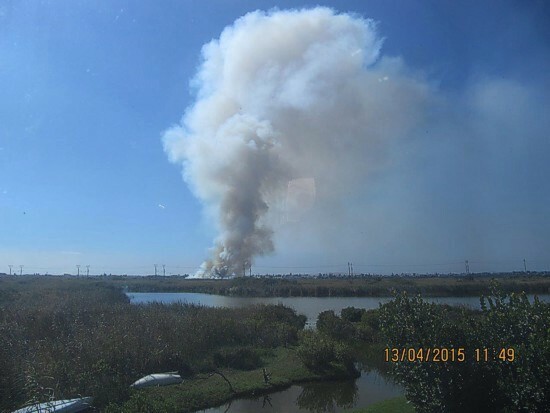 Click to read the Cape Bird Club's history at Zandvlei. A bird count record from an April 1994 Zandvlei Trust Newsletter. Background information A tribute to Ms Basson by Cassy Sheasby. in the City of Cape Town. 7. Data Collection. updated 14/05/2014. You can contribute to MyBirdPatch (see this link for info) for the Greater Zandvlei Nature Reserve. The project is supported and endorsed by both the South African National Biodiversity Institute (SANBI) as well as BirdLife South Africa (BLSA). Click on the logos for the links. * Some data not available. 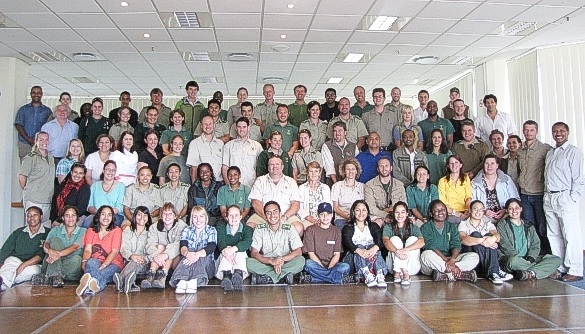 The (ZIMP) Zandvlei Inventory and Monitoring Programme started in November 2001.